I think that I am the luckiest Mom in the States!! Because my kid doesn’t start school until SEPTEMBER 8th!! AND… There is only like 4 things on her Back to School Shopping List! She is starting a new school for first grade and I thought she would start the day after Labor Day. However, today, we got an e-mail that school starts on the 8th! To celebrate my freedom from my 6 year old going back to school I made some simple Apple Cake Pops that I know you can make! I started off with the Apple Caramel Cake and baked it in a 9×13 pan. There is no need to be fancy with it. You’re just going to crumble it up anyway. Once the cake is baked and cooled, I crumbled it up and added a large spoonful of vanilla frosting. Combine it with a paddle attachment with your mixer and you’re good to go. Measure out your balls and roll smooth. I usually get 36 – 40 cake balls from an entire cake box mix. **NOTE** A good way to know if you used too much frosting is to see how sticky your hands are when you are rolling the cake balls. My hands stay 99% clean of cake and frosting. If your hands are covered in cake, you’ve used too much frosting. Pop them in the fridge to chill and firm up. Melt you candy melts. I went with white to show off the bright red apple. You can pick school colors for a fun color variation. Attach the sticks by dipping a 1/2 inch of the stick into the melted candy and then inserting it halfway into the cake ball. When I’m making a lot of pops, they end up all over my cookie sheet. Place 30 pops back into the fridge and only keep out 10 to dip first. When you work in batches of 10 (or 12) your pops won’t warm up too much. There is a fine line for your cake pops to be too cold or too warm. Too cold, and you risk your cake pops cracking. Too warm and the cake will fall off your stick. I’ve even only pulled out 3 – 4 pops at a time from the fridge to dip during the summer. Just figure out what works best for you. When all of your pops are dipped, it’s time to punch out the apples. I used Wilton’s Sugar Sheets in Red and a Martha Stewart apple punch from the craft store. Simply punch out the apples from the sugar sheets and set them aside. 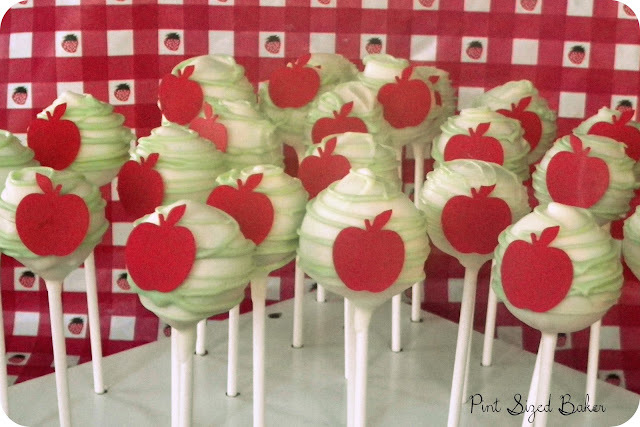 I added some very light green swirls to the pops and then attached the apple shape to the wet candy. Well… sort of… Wrap them up and send them off with your kid to school. If your school doesn’t allow for outside snacks, the teachers and administrators would LOVE to have some of these cake pops! As for my kid, I still have a month of her at home driving me crazy. They look awesome. Just a neat idea the edible paper, I've never seen that before, but it's so effective. I've used them before for other projects. Super easy if you don't want to hand mold your pops into a shape. Those sugar sheets are genius! I'm totally going to have to look into that. And only four supplies? I want to go to your school! yes! She needs pencils, crayons, paper and a yoga mat. They have once a week! I want to go to school on yoga days! Those look great!! Thanks for linking up to Foodie Friends Friday! I have never seen sugar sheets before–these are adorable!! You;ll find them at Micheal's, Hobby Lobby, and even Wal-Mart. They have a lot of differnt colors and patterns. They are so easy to use and look great. So easy and a huge time saver! If you're no good at rolling and working with fondant shapes, this is perfect. I have a few paper punches that I use strictly for the sugar sheets. so cute, I am counting down the days until September and I get so jealous when I hear kids going back already. I love my kid, but man he needs to be back with his friends, I am no good at lego! My nieces and nephews in Hawaii started school on July 30!! Crazy!! I'm no good at being judge and jury during play date fights. I'm ready to have my house quite for 6 hours in a row! These look amazing! Thanks for linking up to Foodie Friends Friday! Don’t forget to come back on Sunday to Vote. I pinned these – adorable! I would love if you would submit it and share it with my readers! Join the Community and share any of your creative project! Thanks for the pin. Always appreciated. I have thought many times that I should make cake pops and these look amazing. Thanks for sharing on Foodie Friends Friday! These cake pops are sooo cute! Thanks for sharing on Foodie Friends Friday! Don't forget to come back on Sunday to vote for your favorite recipes! I have seen the sugar sheets at JoAnn's and Michaels and wondered how well they work but never tried them. These pops are just adorable and the apples are the perfect touch. Thanks for sharing at this week's BFF Open House! 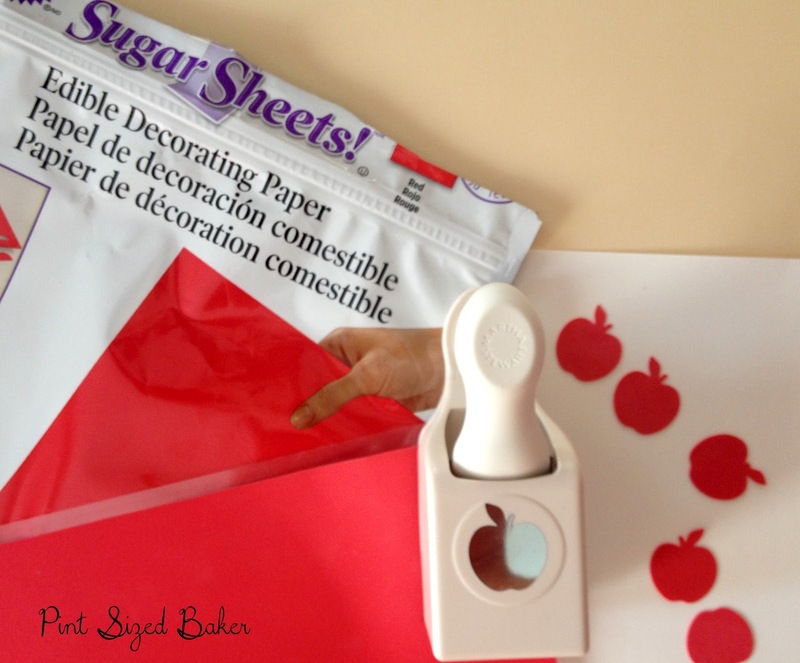 The sugar sheets are so easy to use. If you don't want to use a punch, you can always cut them with a scissor. A great way to make sugar cookies without fancy piped out design. These are super cute and great for back to school. My Get Social Sunday link party is live. Would love to have you come link up your homepage and promote your blog! I like that editable paper you cut apple shapes with. These are the sweetest!!! Awesome idea! Please come link up at our BACK to SCHOOL Resource Page at http://www.mercyinkblog.com/back-to-school-tips-tricks-tools would love to have these added to our bunch! Oh My! So cute and creative! So cute for back to school! I hope you will link up tomorrow to The CSI Project starting tomorrow. The challenge is Back to School Projects. You just might win. Each week is a new challenge with 3 tutorials, giveaway and a fun guest judge. Thank you. Just linked up to the competition. Karyn! 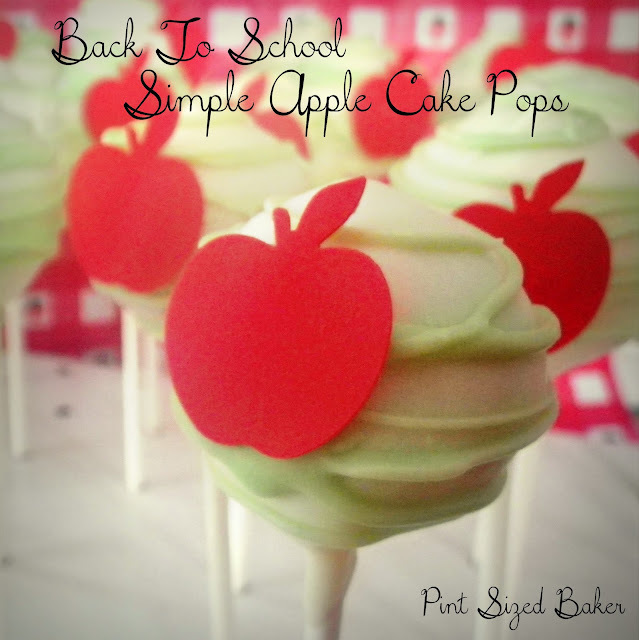 So Cute- these Apple Pops are Perfect for Back to School! 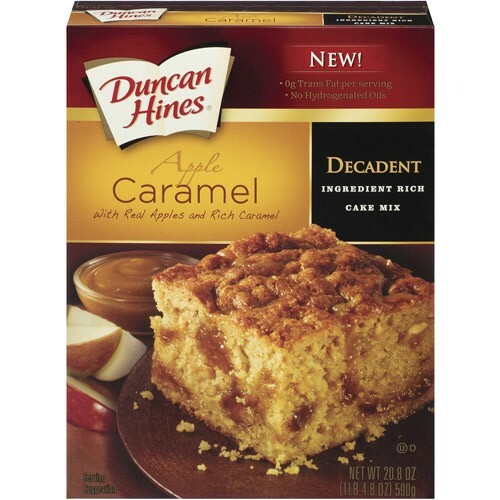 Love how you used the Apple Cake mix- get out, I didn't even know they made that! Looks Fantastic! Found you over at the CSI Project, thank you for sharing this!!! Found you on CSI and I LOVE this idea!!!! So simple yet so cute! Thank you for linking these up at the party! I'm featuring them this morning…stop on over in an hour or so!